UCLA Facilities Management is upgrading the campus’ Intramural Field to synthetic turf, which will save 6.5 million gallons of water annually. UCLA’s Intramural Field is upgrading to synthetic turf, a move that is expected to save 6.5 million gallons of water annually, and decrease both the costs and downtime from maintenance. 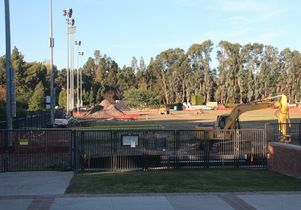 UCLA Recreation previously had to close the field several months a year in order to replace worn and dying grass or to dry out the field after rainstorms. The seven acres of synthetic turf will make the IM field useable year round to meet the increasing needs of club sport teams, intramural play, and other student sports interests. With the reductions in watering, the conversion will play a key role in UCLA’s ongoing sustainability goals and immediate efforts to save water during California’s historic drought. 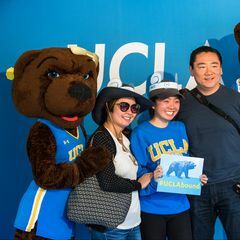 The campus aims to serve as a living laboratory for sustainability, and this water-saving measure is in line with the campus’ Grand Challenge to make Los Angeles County sustainable in water and energy by 2050. 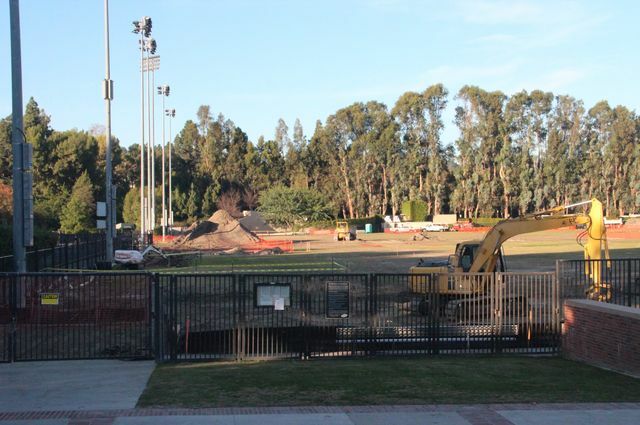 The field’s conversion began Dec. 1, and Recreation will strive to provide alternatives to UCLA Intramural Sports and Club Sports teams until the IM Field reopens in May 2015.